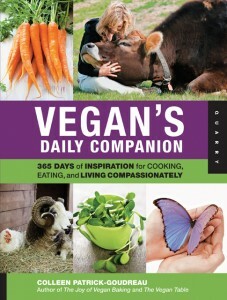 On January 1st I started reading Colleen Patrick-Goudreau‘s beautiful book, Vegan’s Daily Companion. I’ve had this book for several months and had skimmed around in it but I wanted to start it at the new year and read each day’s entry for an entire year. The book has a short entry for each day of the week (with Saturday and Sunday combined), so six entries per week for 52 weeks. The entries start on Monday and since I really wanted to start it on the 1st (which was a Sunday) I read the intro and ‘how to use this book’ sections first. 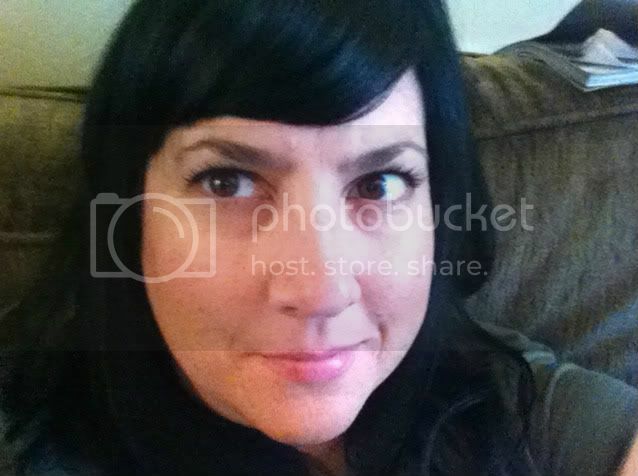 Colleen says you can read an entry each day in order or skip around however you like. One of my favorite things about the book is the purple ribbon page marker attached to it! 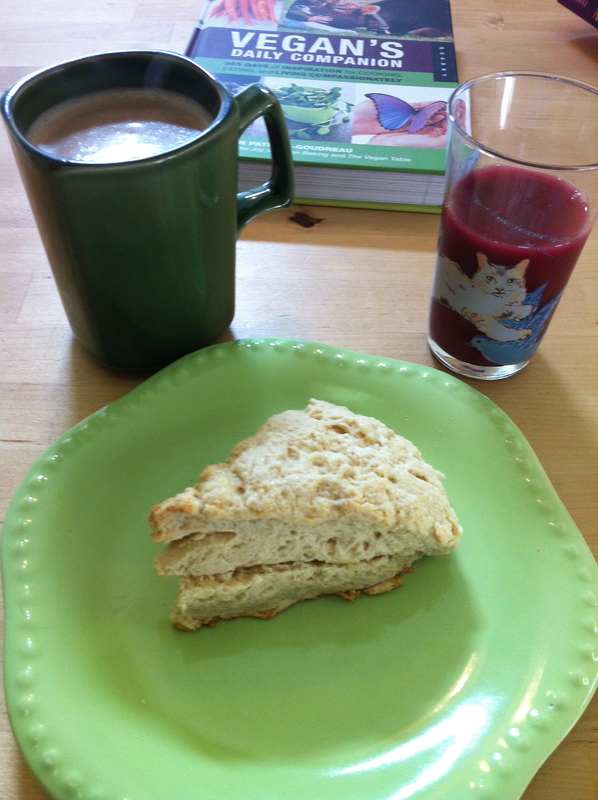 I enjoyed reading a section each morning this week with a cup of tea before heading to work. I’d also love to make each recipe in this book! This week’s recipe is for a massaged kale salad. I ate a TON of kale this past week so I may or may not make this recipe today. I plan to share a little bit about the book in a new series of Sunday posts. Have you read this book? I know you would really enjoy it. And each entry is only a page or less so a nice quick read each day. I saw this book online, but I never actually looked through it. It sounds kind of cool. I look forward to hearing about it!